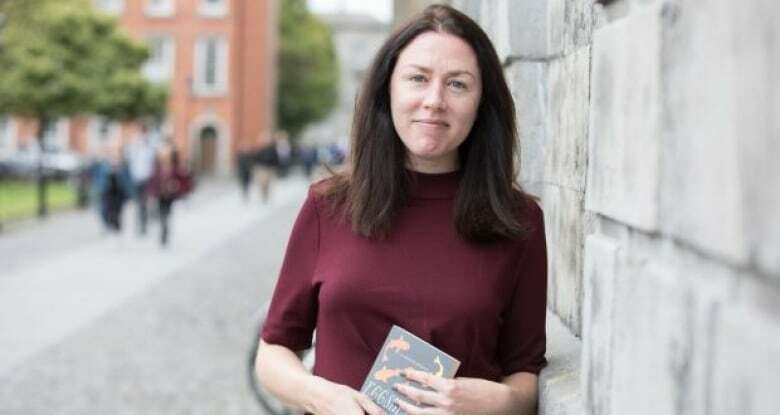 Author Caitriona Lally was awarded the 2018 Rooney Prize for Irish Literature by Trinity College Dublin. 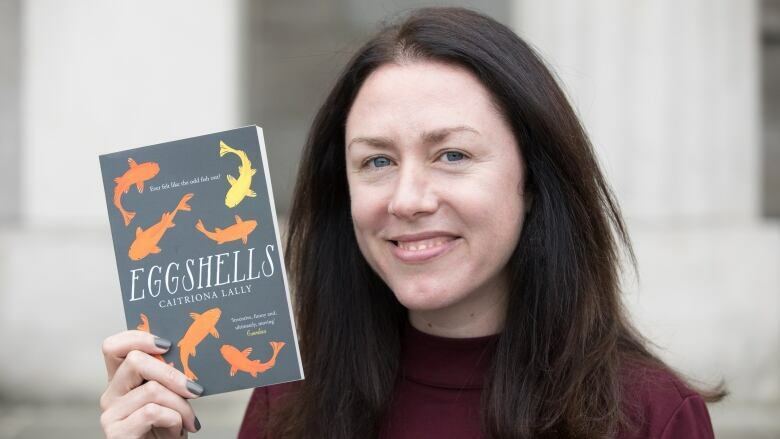 Caitriona Lally has been awarded the 2018 Rooney Prize for Irish Literature for her debut novel, Eggshells. The prestigious award is given to an emerging Irish writer by Trinity College Dublin, which is where Lally studied English — and where she also happens to work as a cleaner. As It Happens host Carol Off spoke to Lally about what it means to win the award as she balances her writing, her job and caring for her young daughter. Caitriona, big congratulations. What was it like getting that call about this prize? It was amazing. I was having a fairly mundane day. I had worked my cleaning job early in the morning and then I mind my daughter for the full day. I got this phone call to say, "You've won the Rooney." And I had no idea what the judge was talking about. I had to ask what a Rooney was. When he explained, I was just absolutely agog. I couldn't believe it. It made my day. You worked as a cleaner at the university you went to, at Trinity College Dublin, didn't you? Yeah, I studied English there about 15 years ago. While I was studying there I spent my summers working as a cleaner to earn money for traveling and fun. Then, when I found myself laid off, years later, in the recession in 2011, then the cleaner friends I'd stayed in touch with, they told me when the cleaner jobs opened up again. I came back, so three-and-a-half years ago now. I've been working there since 2015. And raising a child, yeah. A little girl. She's 14 months, called Alice. She's a great little girl. It's an active age. You have Alice, you work as a cleaner at Trinity College and you're trying to be a writer. So how did you find time to actually write Eggshells? I think I started writing when I was laid off from the job. I spent a year in 2011 unemployed. So I think the character of my book, Vivian, in Eggshells, she came to me while I was unemployed and feeling that kind of sense of isolation and not belonging. I kind of capitalized on that sense in writing this character. I took all the notes for that book then — and then wrote them up, once I kind of got the confidence to write. I was back in full-time employment and I wrote then, before work and after work — whenever I could get a few minutes. Tell us a bit more about what Eggshells is about. Vivian is this main character. She believes that she is a changeling. So she thinks that the fairies came and took the original child and replaced her with a fairy child. So she's wandering around contemporary Dublin and she's looking for this portal to another world. I think it's just that she doesn't belong. It's this ultimate sense of where could I belong? Where is this world where I would belong? She's looking for codes and meanings and significance in streets sign or maps or anything. It's a massive boost to my confidence. It's a real ... it's just lovely to be recognized, you know? To feel that your hard work has been acknowledged and that you're on the right track. Like, since I've had Alice, my daughter, I've put her in daycare three mornings a week. So after I finish my cleaning job, then I have a few hours to write, while she's in daycare. It's really expensive in Ireland. So to try to justify paying for that while writing, where you don't know if this writing is going to go anywhere or not. You know, I've doubted myself so much over the past year. So this prize has given me a boost and made me think, well, I'm on the right track. I'm doing what I should be doing. That's just lovely. One curious thing — first of all, you graduated from Trinity College in Dublin. You are working there as a cleaner and it's the same university, it's Trinity College, that actually gives this award. Isn't it? Yes. It's full circle, isn't it? Did they remark on that when they called you to tell you you had won? They did, yeah. They were all talking about it. The award ceremony last night was in the provost's house, the college president's house. And I was saying, "I used to clean there when I was a student. I've cleaned this very room." So it's amazing to be there to be celebrated — and not cleaning. What are you going to do with the €10,000 that you win from this? This is a very boring answer. I wish I could say Vegas or something exciting, but it's practical. Mostly, it's bills, daycare fees and very mundanely, we need a water tank for the attic. So, that's the first thing on the list. No trips, nothing special, nothing for yourself? We'll see, if there's any money left over. Mortgages are expensive in Dublin. Hopefully we will have time for a treat when things calm down a bit. Written by Sarah Jackson and John McGill. Produced by Sarah Jackson. Q&A has been edited for length and clarity.